Here is another better picture of the Carlisle white marble fireplace. This is a fine French design. It is carved from marble and is offered at a great price. The Carlisle can be made from limestone and cast stone as well. The corbels serve as a main design detail of this surround. Its simple beauty is by no means under stated. The refined craftsmanship is evident as soon as you see it. 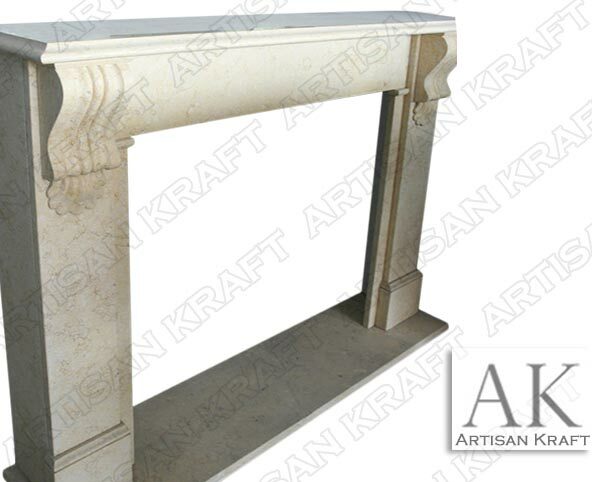 Artisan Kraft offers many more French style mantel surrounds.